May 4 (BusinessDesk) – New Zealand should support the creation of Trans-Pacific Partnership free trade negotiations, but bottom lines should include the right to negotiate fair pharmaceutical prices through Pharmac and to regulate in the public interest. Speaking to the 10th New Zealand United States Council annual conference in Auckland, where the subject is the TPP, Goff pledged Labour’s support for a free trade pact which would create a new Asia-Pacific grouping, including the United States for the first time. But he proposed several “bottom lines”, including commitment to abolishing agricultural protectionism within the zone – a challenge not only for the US but other countries showing interest in the pact, including Japan, Canada and Mexico. 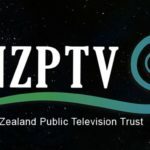 The TPP is widely opposed by anti-globalisation activists and academics, with particular focus on the intellectual property demands made strongly by US negotiators, which they fear could undermine New Zealand sovereignty to unacceptable extents. A particular focus is Pharmac, the New Zealand government’s drug-buying agency, whose policy of buying lower cost generic drugs from secondary pharmaceutical manufacturers has been a source of long complaint from US “big pharma” drug companies. The existing TPP agreement, negotiated under a Labour government, is between Brunei, Chile, New Zealand and Singapore, with Australia, Malaysia, Peru, the US and Vietnam seeking to join. Goff said enticing the US to join the grouping had been one of its strategic objectives from the outset. “Clearly the involvement of the US would give the TPP the critical mass and the momentum to make it an effective mechanism to move towards achieving APEC’s goal of a Free Trade Agreement for Asia-Pacific,” said the party’s former leader and Minister of Foreign Affairs. 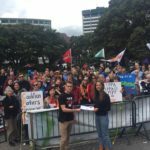 Goff said he expected the National-led government would share Labour’s commitment to preventing loss of New Zealand’s right to “regulate for public good”. “Tobacco companies will just have to accept that no responsible and sovereign country will be deterred from regulating to stop the promotion of a product, unique in killing half its consumers when used in the way that the manufacturer suggests,” he said of the tobacco lobby’s objection to governments overriding their branded naming rights for cigarettes and mandating plain packaging. On intellectual property, Goff said he favoured a regime based around existing global trade agreements and protocols. 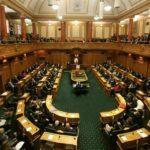 The conference heard the TPP could deliver an annual boost to the New Zealand economy of around $2.1 billion a year by the mid-2020’s, according to research to a US-based research group. The East-West Research Center paper says the TPP has the potential to “consolidate the ‘noodle bowl’ of smaller trade agreements existing between many of the parties negotiating the pact. If successfully concluded, TPP could add around $2.1 billion to the New Zealand economy by 2025, being this country’s proportion of estimated benefits across all partners of US$104 billion, said NZ US Council executive director Stephen Jacobi. “This research is the first time comprehensive, independent analysis of the expected economic benefits of the TPP has been published but these gains depend entirely on the ability of negotiators to bring home a fully comprehensive agreement, covering all goods and services,” said Jacobi. The research indicates 2025 gains could be larger if a Free Trade Area of the Asia Pacific (FTAAP) was able to developed from the TPP, with New Zealand’s GDP forecast to expand by 0.83 percent under TPP and 1.35 percent under an FTAAP.